Shop Hosa XVM Camcorder Microphone Cable XLR3F to Right Angle 3.5mm TRS from AMS with 0% Interest Payment Plans and Free Shipping. 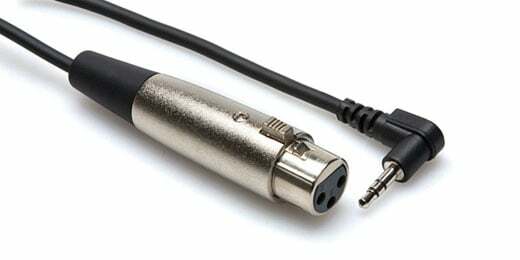 A high quality cable that is designed to a connect a microphone with an XLR output to a mini mono phone input. It is ideal for connecting a pro mic to a DV camera, mini audio mixer, or portable audio recorder.